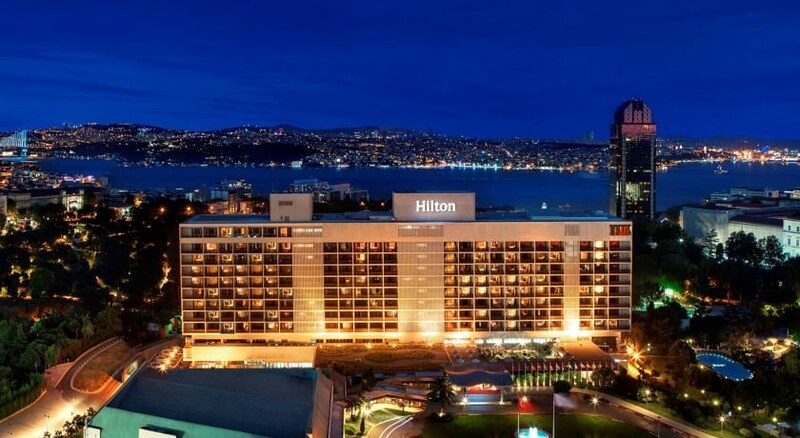 Hilton Istanbul Bosphorus with its landmark central location great views and beautifully landscaped gardens offers an oasis of serenity amidst the bustle of one of the world*s most vibrant cities. Celebrating its 60th anniversary in 2015 this iconic hotel is renowned for its great heritage and quality of service. The hotel is conveniently located in the city center on the European side and within a ten minute walk to Taksim square. The hotel is also the closest international hotel to Congress valley and is just 22 kilometers from the Ataturk International Airport. 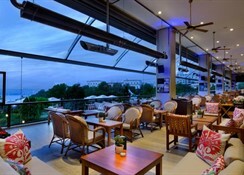 All rooms offer private balconies which combine to create a resort-style atmosphere. 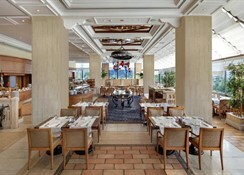 Hilton Istanbul Bosphorus offers different cuisine alternatives including famous Turkish cuisine Lebanese Cantonese and Mediterranean delights from awarded Hilton Chefs. The hotel has been the house to numerous global and local conferences and meetings since 1955 with its extensive indoor and outdoor event spaces 27 meeting rooms including a Convention Center a Ballroom and boardrooms which can host anything from 10 to 3 000 guests. Keep fit in the fully equipped Health Club which features state-of-the-art fitness facilities a world-famous Turkish bath whirlpool sauna steam bath and various wellness facilities including treatment rooms. The phenomenal outdoor pool is amongst the largest in the area accompanied by an indoor pool and tennis courts. The hotel is well connected to all points of attraction and is within walking distance of Taksim and Nisantasi leisure districts and is just a short subway ride to the Old Town allowing guests to enjoy a stroll along the colorful streets of Istanbul. 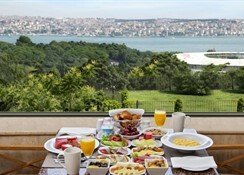 The Hilton Istanbul Bosphorus hotel Turkey*s first 5 star hotel is located on the European side of Istanbul surrounded by beautiful gardens in the heart of the city. Ataturk International Airport is just 30 minutes away and leisure district Taksim is within easy walking distance of this Istanbul hotel. Enjoy Lebanese cuisine in Al Bushra restaurant or book your table for lunch or dinner in Bosphorus Terrace Restaurant at this Istanbul hotel. Unwind in the hotel*s Health club with 24-hour gym relax in the Turkish Bath or enjoy a game of squash or tennis. Choose an Executive Room or Suite for Executive Lounge access recognized as *One of the Best Executive Lounges in Europe* by Business Traveller Magazine. 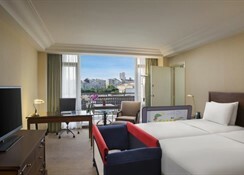 All spacious guest rooms at the Hilton Istanbul hotel offer a balcony. Do business in the Hilton Istanbul Bosphorus hotel*s Convention - Exhibition Center with 27 meeting rooms for up to 3000 and a fully equipped 24-hour business center.